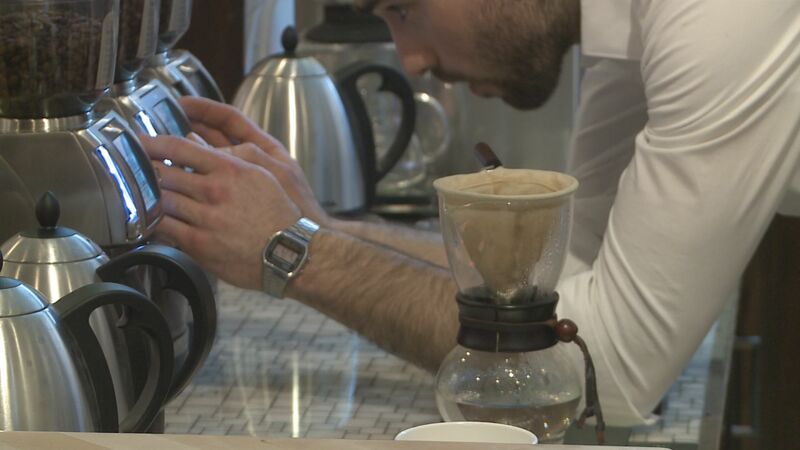 GRAND RAPIDS, Mich. (WZZM) -- A new coffee shop in Grand Rapids is celebrating its first day in business. Lightfast Coffee Bar + Art Collective served its first customers Monday. In addition to serving coffee, the shop hosts work from a different local artist each month. There'll be an opening party for each new show. Lightfast is on Fulton near Diamond. Its open Monday through Saturday, 7 a.m. to 7 p.m.